Cheap,waterproof,accurate and easy to install,hope it lasts under the Greek sun. 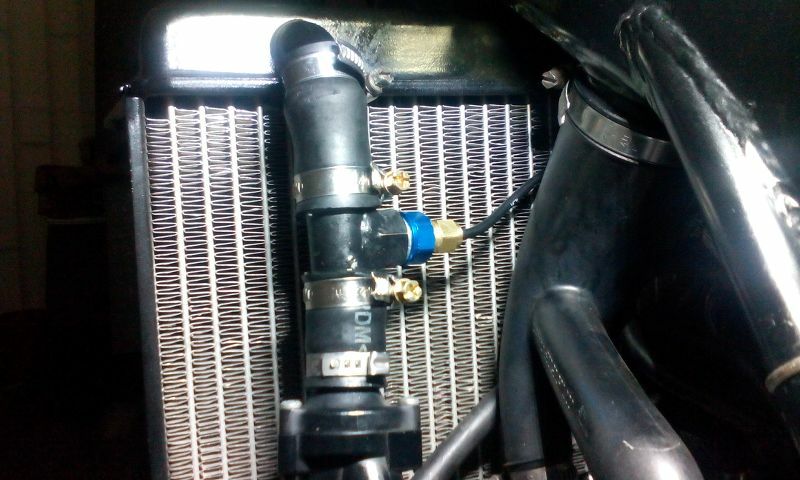 A local machine shop made for me a T adapter for about 20$ to connect the temp sensor on the 20mm coolant hose above the thermostat at the left side of the engine.I haven't found something cheap similiar to that on ebay. 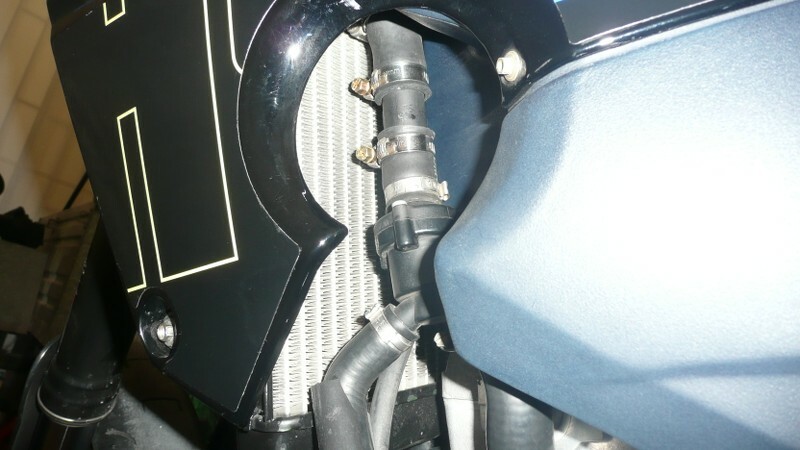 I finally arranged sensor,cable and hose clamps so they cleared radiator and fuel tank. The best place to fasten the display was under the handlebars.Εasy for me to watch it but not for the vandals. In front of the tachometer you can see a big horn from Hella,i ride my berg on the streets. Behind the front mask,connect red(+) termignal from the gauge on this yellow wire(not yellow-red,just yellow) that goes to the front brake switch. So now your gauge works only when the engine runs,there is no need for an extra switch. 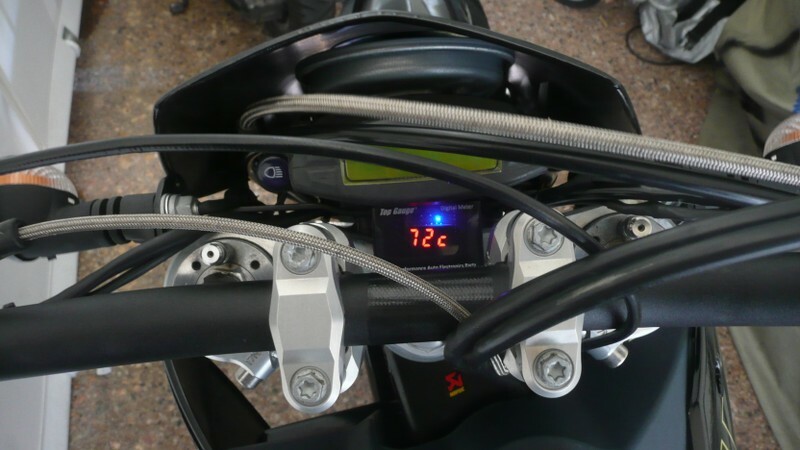 The negative termignal from the gauge goes to any brown wire(-) you find behind the mask,one from the turn signals is preferred. Last edited by dynagrego; March 22nd, 2017 at 04:15 AM. I have installed a radiator fan kit. 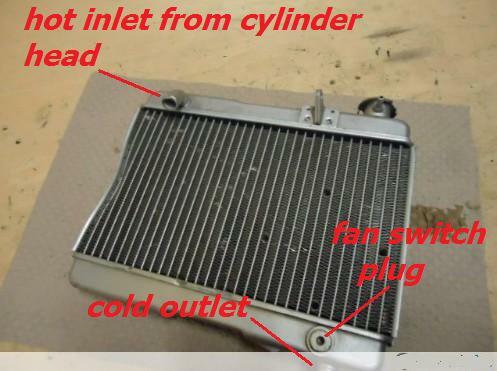 The fan switch is at the right lower side of the radiator near the cold outlet-return to the water pump.It starts the radiator fan at 95C(203F). 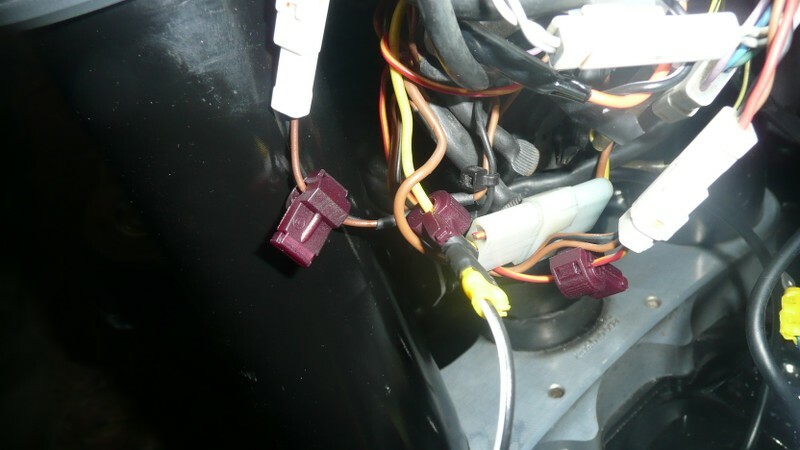 BUT this thermo switch "feels" coolant that has been cold after passing the radiator. 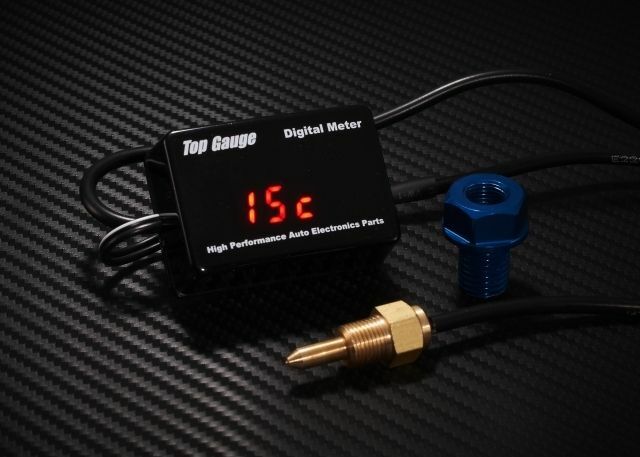 The same time coolant that is leaving cylinder head has a temperature of 110C(230F) as i see on my digital gauge.The sensor of this gauge is installed near cylinder head before the radiator. So,there is a difference of 15C(60F) between the temperature that fan is activated and temperature of cylinder head at the same time.